Since I’ve started DIY-ing more of my own personal care products, like my face care, hair care and dry skin relief cream, I figured lip balm should be next on my list to try to make on my own! 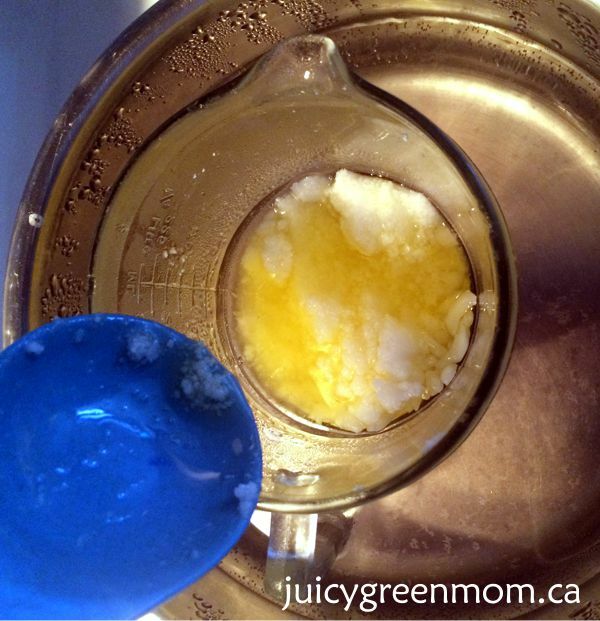 A lot of lip balm recipes are a combination of coconut oil and shea butter. Many lip balms I’ve tried are coconut oil based, and while I like them, I feel like I have to reapply really often. So I decided to experiment a little with some other carrier oils and I really like the result of this one. 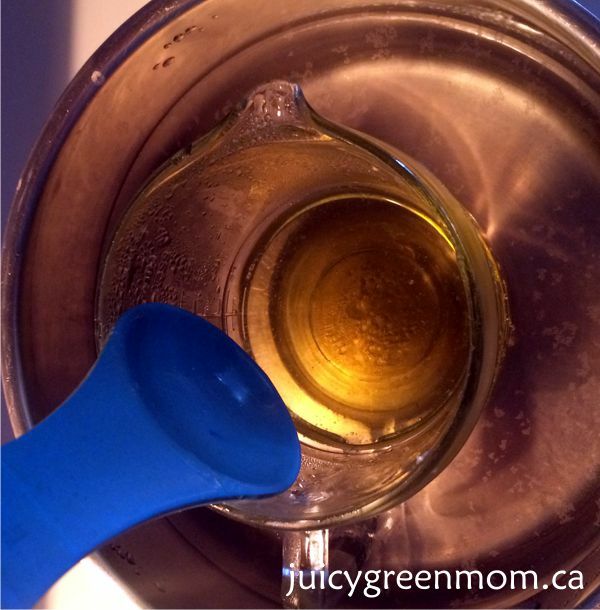 I feel that the castor oil in this recipe helps the lip balm stay put longer so that it really allows for locking in the moisture (living in Edmonton in super dry winters means that good lip balm is of the utmost importance). Lip balm tubes are pretty much all plastic, and thinking about all of those plastic tubes getting added to the landfill makes me feel really sad. Of course if you’re DIY-ing your own lip balm, you can reuse those tubes over and over, so that’s definitely a positive for DIY! 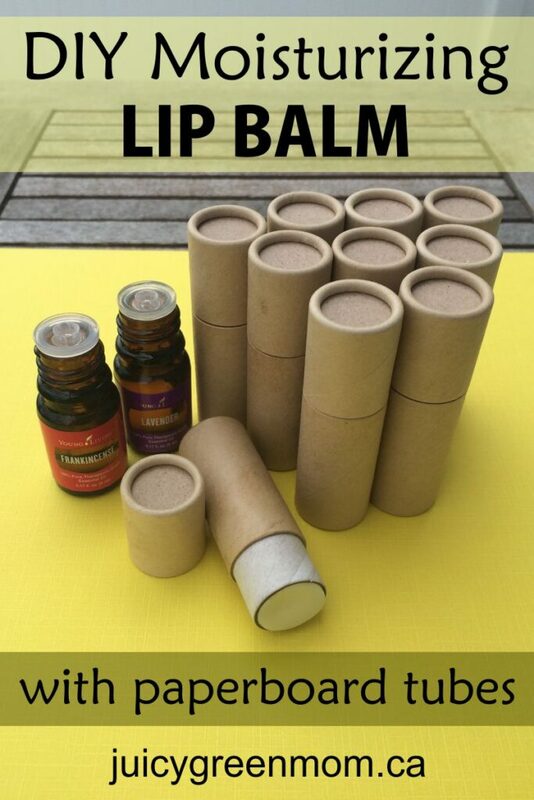 However, there are also paperboard lip balm tubes available! I was really excited when I found these push up lip balm paperboard tubes from SKS Bottle & Packaging. They have a little cardboard disk in the bottom that you push up as you use the lip balm to make it go up, instead of twisting like on plastic tubes. The tubes come in a variety of sizes as well, so you could use them to make all kinds of things, like DIY moisturizers, balms, deodorants, etc. They are also extremely sturdy (way sturdier than a toilet paper roll), so I think the reuse factor is strong on them as well. The only slight downside is that the smallest tube is 21mm in diameter, which is a little bit larger than the average plastic lip balm tube, so it may take a bit more real estate in your purse or pocket. I’m cool with that in order to avoid plastic! This simple lip balm recipe is super moisturizing and easily customizable! Ingredients ready to start melting! All melted! Ready to add essential oils, mix, and pour into tubes! This recipe made enough to fill 10 of the 21 mm paperboard tubes. If you’re using regular plastic ones that are a bit smaller, I would guess that you could probably fill about a dozen of them with this recipe. A neat tip someone taught me is to put a rubber band around all of the empty tubes to make it easier to pour in lip balm mixture quickly before it starts to harden! This trick made it super easy! Here are mine after they’ve hardened. I’m really happy with how easy it was to DIY this lip balm. My whole family has been using them and I’ve definitely found I have to apply less often than other lip balms I’ve bought. Of course you can use whatever essential oils you like – I just added my favourites for healthy skin. Because the paperboard tubes are so sturdy, I could definitely keep reusing them and refilling them until they start to break down. And then I wouldn’t feel so bad throwing it in the garbage because I know the paperboard will break down much quicker than plastic will! 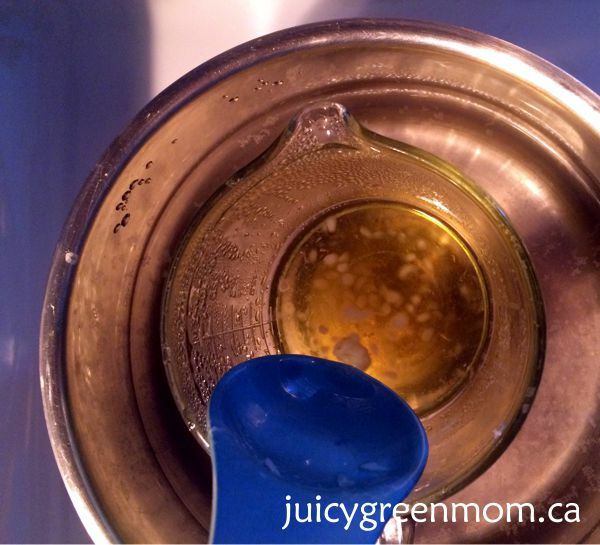 What do you think of this DIY moisturizing lip balm? What a great way to be plastic-free on your personal care products! You usually still have to buy the ingredients in plastic but the bigger containers are more easily recyclable and resusable. Oh cool!!! Thanks for sharing!!! I still get my ingredients in big plastic tubs. I wonder how this would work for toothpaste? They do carry paperboard jars as well, so that might work better, depending on the consistency of your homemade toothpaste! Have you labeled these? Will the standard, plastic tube wraps fit? I use printed out paper labels, so I don’t know if the plastic tube wraps fit. 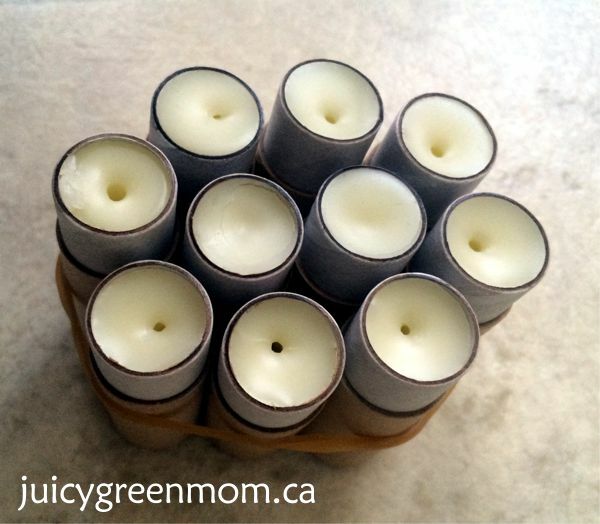 Trying to avoid plastic by using the paperboard tubes!